As some of you may know we recently reached a crossroads in our career. RED got started by signing a record deal with Sony back in 2005. Over the next 12 years we released 6 albums, sold 2 million albums worldwide, logged millions of streams, received 2 Grammy Nominations, won 6 Dove awards, scored 24 consecutive #1 singles, released 2 Top 10 Billboard 200 albums and played over 2500 shows in 25+ countries. We just recently saw our first album go gold and we also scored two gold records(singles) for "Breathe Into Me" and "Already Over"! THANK YOU!!!! Back in the fall, we had the option of re-signing with our current label but, after much consideration, we decided that branching out and starting our own label platform was the best move. It's simple…RED’s greatest outside strength has always been you, our fans. You’re the only ones who’ve shown as much heart, soul and love for this project as we have and we wouldn’t be here without you. 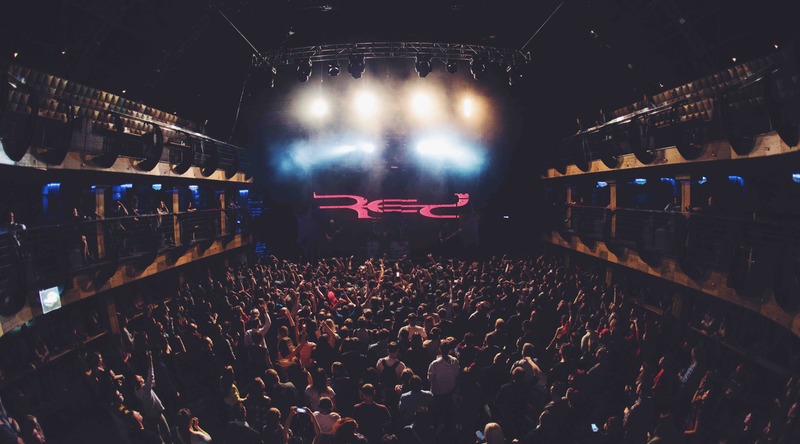 We want the next chapter of RED to be the most true to us and to you, and with your help we know it will be. We are asking for your help to record new music and share it around the world. We have already begun the process of writing and demoing; that part is always free. Where it gets expensive is recording, mixing, mastering, marketing etc. That's what we need your help with and we need it NOW! Your support has always kept us going and this is no different only now we will be able to release our music at will. You won't have to wait for music to come out every two to three years! We can do what we want, when we want and with whomever we want in order to make the best rock music we know how. Would you consider helping us stick around so we can keep making music??? Your support is the only thing that will help RED survive. We are so grateful for your love and support and the best way we know how to say thank you is by bringing you great music for years to come. What does my donation get me? That's simple too. You get RED. You get to see the band continue to tour and make music. 100% of your donation will go to RED music to aid in the process of making music and delivering it to YOU! WHEN WILL I HEAR NEW MUSIC? We will start releasing new music this Spring!!! Please share this campaign with everyone you know who loves RED! NEW UPDATE!!!! We recorded strings this week on the new music!! We are so excited to show you the new music soon. I know you guys have been so patient. But we are working hard on making sure the songs are perfect! Thank you so much to every one of you who have donated so far! It means the world to us!! We are still hard at work on some new songs!! Your support through our journey has been incredibly inspiring and we are so stoked to release new music soon! We know you’re ready, and we can’t wait to rock your ear holes!!! RED UPDATE!! We can’t thank you guys enough for all the love and support you’ve given us these past few days!! We are so excited about what’s to come but we still need your help to get us there. Every little bit helps! If every one of you gave a small amount, we’d meet our goal. Also, we will be sending a signed digital image of our very first photo as the new band with Dan Johnson to every one who donates before we release it to the public! You’ll also get a free download of the first single we release. Thank you again guys, we love you!